Saturday, April 20 is our annual Easter egg decorating party, followed by the always popular egg hunt! Bring your kids, baskets, and some hard-boiled eggs. 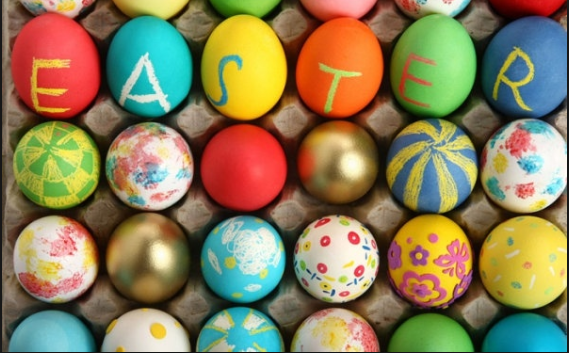 We’ll supply the egg dyes, stickers, crayons, plus some candy-filled plastic eggs and more. The fun starts at 10:30 a.m.
Once we’re finished decorating the eggs, adults will hide them around our grounds. Then we send the kids off to find the eggs, youngest kids first. It’s a fun time for everyone and we usually finish up right before noon. See you there!